With 2.19 billion monthly active users, Facebook is one of the most popular social networking websites. It is used in almost all parts of the world by a large number of tech-savvy people from dawn to dusk. So, even entrepreneurs recognize the impact of Facebook in the business world and all of them try to make the best use of it. Although, there are ways visitors can submit their comments on websites. If you set up Facebook comments on your site, it will allow visitors to log into their Facebook account and submit their comments without filling out the name, website address, e-mail, and a verification code (captcha). 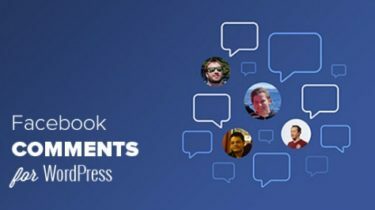 Adding Facebook comments to your site is an important aspect of WordPress Website Development Because it provides various WordPress Plugin to show Facebook comments on your WordPress Website allows everyone with an account to join in the discussion below your posts or to start one if none is going on. People won’t have to go through the process of creating yet another account on another site just to leave a comment, they’ll be using an account they already have. One of the obvious advantages of adding Facebook page reviews to your site is that its visibility is increased on Facebook itself. Facebook commenting and reviews allow users to share the submitted comments to friends and acquaintances and start a healthy dialogue. It makes people hang around your website & help you get more clicks. Another advantage of this system is that it eliminates the anonymity of visitors. It decreases the amount of SPAM hurled on your website by professional trollers, competitors, and Spammers & makes it safe for use. First of all, install and activate a WordPress Plugin for Facebook Comments and configure it in the menu that appears in Settings → Facebook comments. After activation, go to Settings → Facebook Comments and configure the plug-in. You will also need to create a Facebook app. If you have already done this before, you can use its ID without feeling any problem. Otherwise, you will have to create it all the same. To do this, just go to the Facebook Apps page and click the “Create new app” button. In the form that appears, you will need to enter a name for the new application and click on the “Create App ID” button. In the control panel of the newly created application, its ID is displayed. You need to copy and paste into the plugin settings. Before doing that, configure the application on your site in the “Settings” option using the “Add Platform” button. In the settings of your application, there will be a new section “Website”. You will have to enter the site address. Save the changes you have made, copy the application ID and place it in the plugin settings of your site. Once you have performed all these operations and saved the changes, just copy the application ID and paste it into the plugin settings page in WordPress. The WordPress plugin for Facebook comments has all the necessary set of options. The default settings can work for most sites. You can always use the plug-in settings at any time if you have any problems or you want to change something. Therefore, click the “Save Changes” button after inserting the ID. Now, go to your site and check it for Facebook comments. As you have admin rights, you will receive notifications of new comments. You can manage them and decide whether to publish them or not depending on your choice. Adding Facebook comments to your WordPress website page is a part and parcel of WordPress Development. It helps you to boost user engagement with your brand and more clicks. By following the above-described methods, you can easily add Facebook reviews to your website without seeing someone’s help. Jack Calder is a Web expert, associated with Stellen Infotech Pvt. Ltd. one of the best WordPress design and development services providers around the globe. He has a lot of experience in developing custom WordPress and Magento Themes.